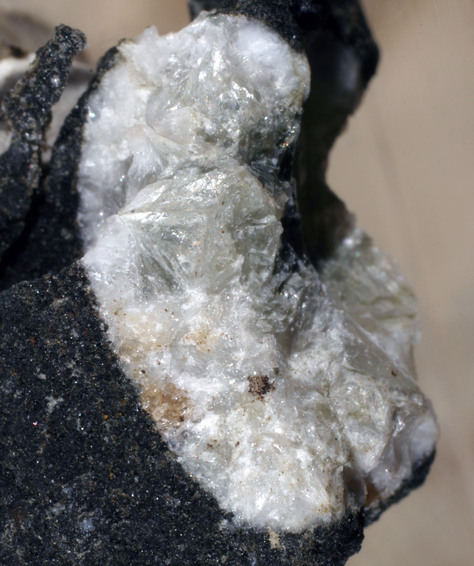 Reyerite: Mineral information, data and localities. 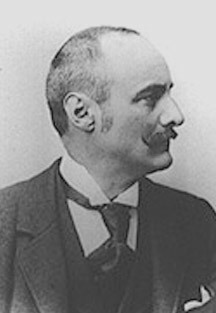 Named in honor of Eduard Reyer (16 May 1849, Salzburg, Austrian Empire - 11 July 1914, Jena, Austria-Hungary), geologist in Vienna, Austria. 73.2.2a.2 Truscottite (Ca,Mn)14Si24O58(OH)8 · 2H2O Trig. Cornu F., Himmelbauer, A. (1906) Reyerit. Tschermaks Mineralogische und Petrographische Mitteilungen: 25: 519-520. 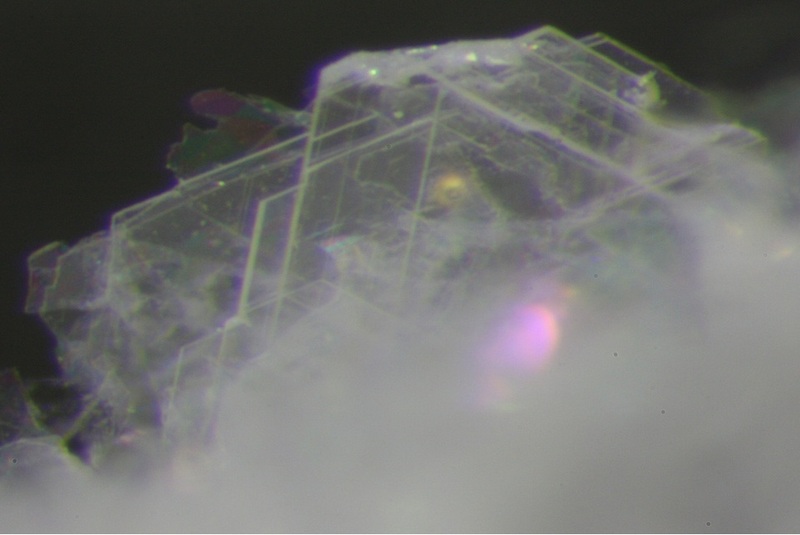 Cornu, F. (1907) The Differentiation of the Minerals of the Mica Zeolite Group. Tschermaks Mineralogische und Petrographische Mitteilungen: 25: 513-521. Meyer, J.W., Jaunarajs, K.L. (1961) Synthesis and crystal chemistry of gyrolite and reyerite. American Mineralogist: 46: 913-933. Chalmers, R.A., Farmer, V.C., Harker, R.I., Kelly, S., Taylor, H.F.W. (1964) Reyerite. Mineralogical Magazine: 33: 821-840. Cann, J.R. (1965) Gyrolite and reyerite from 'S Airde Beinn, northern Mull. Mineralogical Magazine: 35: 1-4. Clement, S.C., Ribbe, P.H. (1973) New locality, formula, and proposed structure for reyerite. 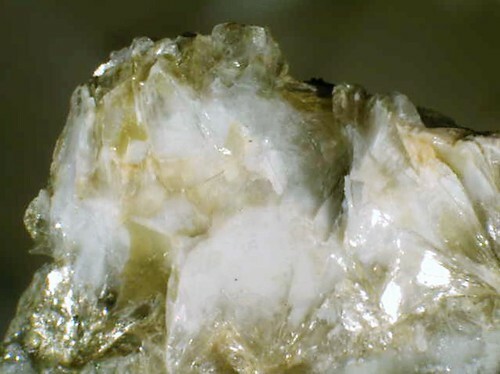 American Mineralogist: 58: 517-522. Gard, J.A., Mitsuda, T., Taylor, H.F.W. (1975) Assarsson's Z-phase and its structural relations to gyrolite, truscottite, and reyerite. Mineralogical Magazine: 40: 325-333. Lachowski, E.E., Murray, L.W., Taylor, H.F.W. (1979) Truscottite: composition and ionic substitutions. Mineralogical Magazine: 43: 333-336. Merlino, S. (1988) The structure of reyerite, (Na,K)2Ca14Si22Al2O58(OH)8.6H2O. Mineralogical Magazine: 52: 247-255. Henderson, C.M.B., Taylor, D. (1988) Reyerite, tobermorite, calcian analcime and bytownite from amygdales in a Skye basalt. Mineralogical Magazine: 52: 711-713.